There are limits to what even the Supreme Court of India can do to discipline Indians into more socially acceptable behaviour. 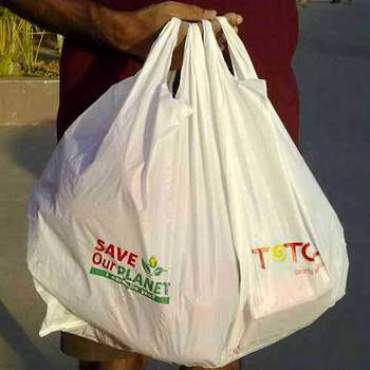 The SC's order imposing a ban on the use of plastic bags has met with as much success, or failure, as earlier attempts by the civic authorities in Mumbai and Delhi. Even a month after the apex court's decree to this effect, both plastic bags and a variety of products in non-biodegradable plastic sachets are still available around the country. Non-biodegradable plastic poses a threat, both to the environment, and to civic infrastructure management. In the absence of adequate scientific recycling or disposal facilities, the bulk of plastic bags end up either in landfills, where they tend to last practically forever, or on city roads, where they pose a traffic hazard, and in drains, where they end up clogging sewage systems. Mumbai's unprecedented flooding, in July 2005, following a monsoon deluge was caused more by the blocking of drains by plastic bags than the rainfall itself. 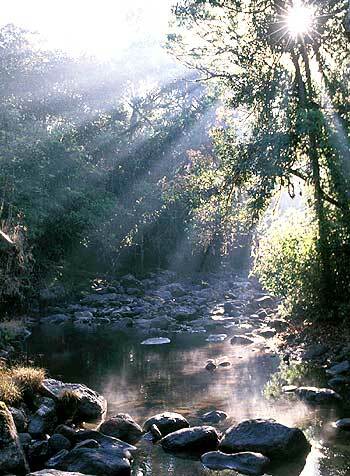 Image: Carbon stocks in India's forest and tree cover increase at a rate higher than historical rate. Flooding of roads, especially during the monsoon season, is quite common in other urban centres as well, the national capital being no exception. 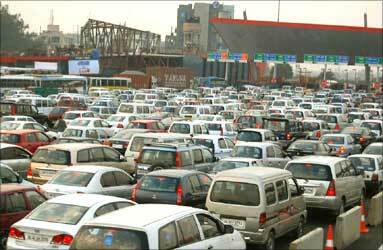 Civic bodies spend huge amounts annually to combat this menace. 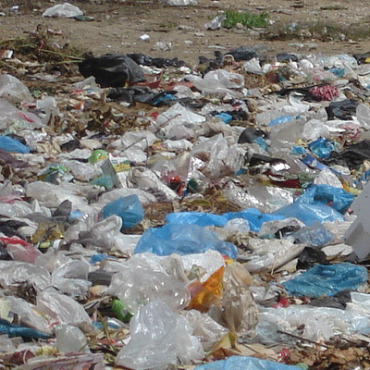 Yet, regrettably, result-oriented action is not forthcoming to enforce ban on plastic bags. The main argument of plastic bag manufacturers and of the traders, who use them, is that there is no equally inexpensive and convenient alternative. But the argument is based on private costing rather than the social cost of plastic bags. This draws attention to the contradiction between private benefit and social cost. The social and environmental costs of using plastics bags far outweighs the very obvious private benefit. The incentive to look for ecologically acceptable alternatives would go up if the manufacture of plastic bags is effectively prohibited and the ban on their use effectively policed. There was life before plastic bags came into mass use. Most shoppers, especially those buying vegetables and other consumables of daily use carried their own cloth, jute and paper bags and cane baskets from home to bring groceries. Reusable bags made from other kinds of non-plastic environment-friendly fabrics can also replace these bags. If necessary, to facilitate transition, the use of alternatives to plastic bags can also be subsidised or incentivised in a variety of ways. Such subsidies can be financed through carbon credits that would be earned from a ban on burning of plastics, quite common in India, that emits environmentally-dangerous gases into the atmosphere. India can learn from the experience of countries that have managed to sharply reduce the use of plastic bags. Ireland levied a tax on the use of plastic bags in 2002. This led to an over 90 per cent reduction in the use of plastic shopping bags. 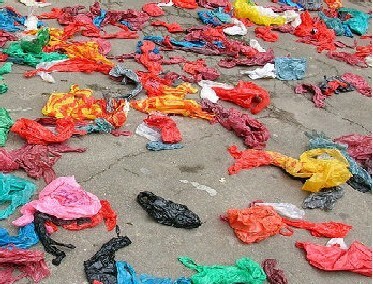 China imposed a ban in 2008 on free plastic bags, making their sale compulsory. This is estimated to have curbed demand by two-thirds. Several other countries such as Australia, Bangladesh, South Africa, Thailand and some states in the US, have taken similar measures with varying degrees of success. Back home, some of the hilly states, notably Himachal Pradesh and more recently Uttarakhand, have shown some success in restricting the use of plastics. What, however, is really needed is the will to act. Modi's woes: Will PM offer relief?